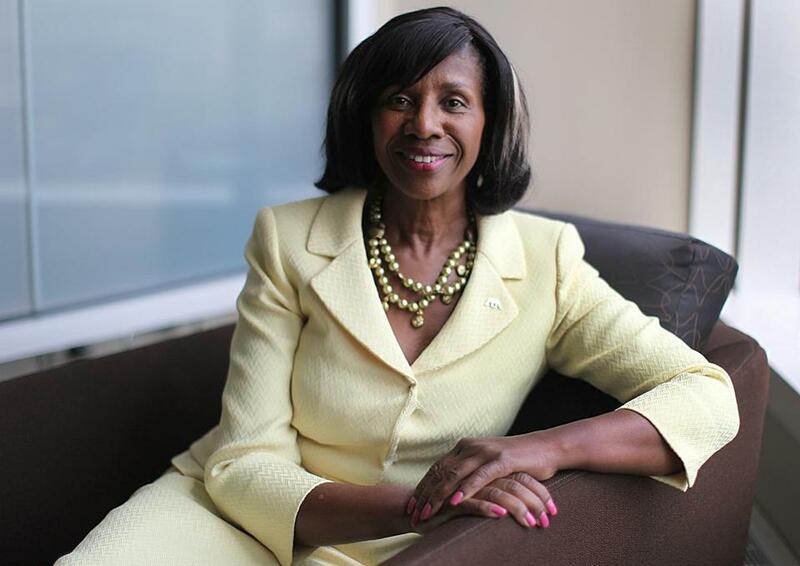 Paulette Brown is the first black woman to lead the American Bar Association. As one of the few African-Americans in her law school class, Paulette Brown noticed career counselors steering her and other black students toward legal service or public defender jobs assisting the poor, instead of more prestigious jobs in big law firms. But she refused to go down that path, eventually serving as in-house counsel for several Fortune 500 companies. 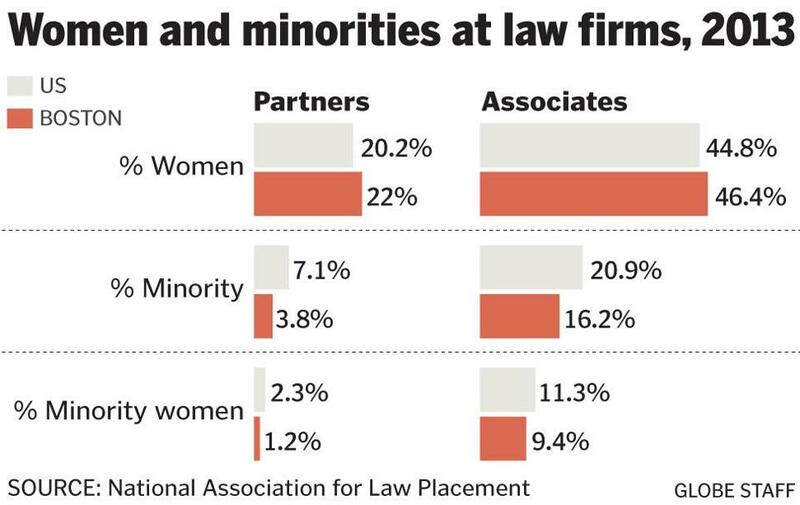 Since those law school days, Brown, a partner in the Boston law firm Edwards Wildman Palmer LLP, has fought against subtle racism, discrimination, and small slights known as “micro-inequities.” For much of her career, she has pressed firms to hire and promote more women and minorities; mentored hundreds of lawyers, mostly women of color; and trained many others on diversity in the workplace. Now Brown, 63, has a platform to expand her mission even further. Last month, she became the first black woman elected to lead the 400,000-member American Bar Association, which, until 1943, did not allow African-Americans to join. Once, when a judge kept telling her to be quiet, Brown slammed her checkbook down on the table and said, “You can fine me whatever you want, but I am talking today.” And the judge left her alone. Her son, Dijaun, now 30, whom Brown adopted out of foster care on her own when he was 8, recalled his mother sneaking into his fifth grade class to teach him a lesson. Brown slipped into the desk behind him, caught him reading an Easy Rawlins mystery tucked inside his social studies textbook, and tapped him on the shoulder: “Why are you not paying attention?” she asked. At the same time, friends and colleagues describe Brown as a warm, engaging woman who wins people over wherever she goes — even those on the other side of her legal cases. Shortly after the Sept. 11, 2001, terrorist attacks, she was taking a deposition from a state trooper in a whistle-blower case. During a break, they got to talking about whether she could take a pecan pie through security for Thanksgiving. The trooper later called her at her office — even though contacting opposing legal counsel is forbidden — to tell her he checked with the Transportation Security Administration and her pecan pie would be just fine. “The seriousness she brings to her work, she brings that same dedication to her jokes and trying to make people smile,” Dijaun said. 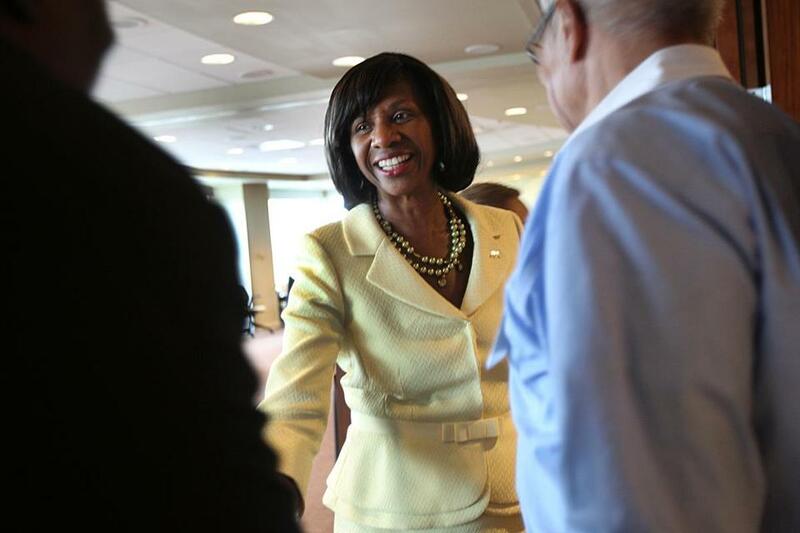 Paulette Brown has pressed law firms to hire and promote more women and minorities. Neither of Brown’s parents went to college, nor did her siblings. But Brown was determined to go. She studied political science at Howard University in Washington and earned a full scholarship to law school at Seton Hall University in New Jersey. She began her career doing health and pension plan work at a steel company in Wayne, N.J., then served as in-house counsel for Prudential Insurance Co. of America and other Fortune 500 companies. When she takes the helm of the American Bar Association next summer, her already full plate will get even more crowded. Brown, who specializes in labor and employment law, practices mainly out the firm’s location in Morristown, N.J., although she keeps an office in Boston. She is the firm’s chief diversity officer, requiring her to travel around the world to Edwards Wildman’s 16 offices to conduct trainings. In between all this, she monitors elections in low-income communities to ensure that they are conducted fairly. As busy as she is, Brown turned down Edwards Wildman’s offer to put aside her legal practice and devote herself to diversity training full-time. “Contributing in more than one way provides you with more credibility,” she said. As a result, Brown’s free time is scarce — and not exactly leisurely. She has done five 60-mile walks to raise money for breast cancer research. They aren’t races, but she checked the time of her last event anyway: She finished 22d out of 4,000 participants. Cooking is a big hobby, including the peach cobbler she makes for her secretary every summer and the pumpkin bread and pickled tomatoes she brought from New Jersey for a dinner party at the home of Matt McTygue, the partner in charge of the Edwards Wildman Boston office. The women who Brown mentors say she has had a strong influence on their lives. Courtney Scrubbs, a first-year associate at the Boston office of Edwards Wildman, said while most people tell Scrubbs she’s doing fine, Brown pushes her to work harder. People in corporate America normally do a “a lot of smiling and nodding,” to keep from offending others, Scrubbs said, but not Brown.